Sheriff Woody, or just Woody is a fictional character that first appeared in the CGI animated film Toy Story, its sequel Toy Story 2, and will appear in a second sequel, Toy Story 3, due to be released in 2010. Woody is inspired by executive producer John Lasseter's favorite childhood toy, a pull-string Casper the Friendly Ghost talking doll. 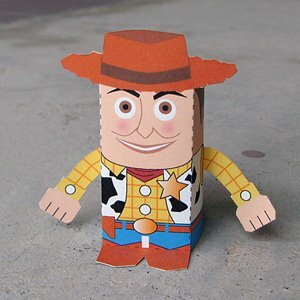 PIXAR Animator/Director Bud Luckey designed the character and came up with the idea of making him a cowboy. When I saw the movie many years ago, I loved both, Woody and Buzz. Nowadays, I love both of them, too. Thanks! 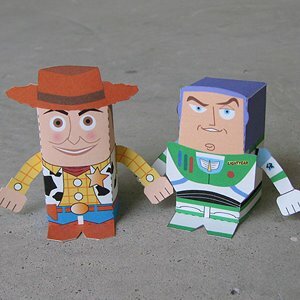 I just have to make Woody to go with Buzz! Otherwise, it doesn't seem right. Watch out for the PDF soon!